Come meet our new vice-presidents at an informal session held on the Tenth Street Campus on Wednesday, January 31. Kerry Clarke, Vice-President of College Services and John Kincaid, Vice President of Students & Advancement will be introduced. They will share with you their portfolios at Selkirk College and be available for conversation. Join in this lunch hour event at the Shambhala Music & Performance Hall. 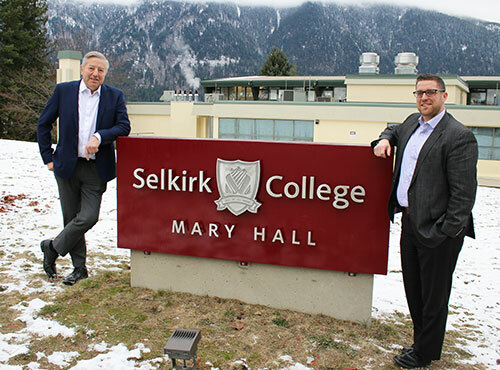 FIND OUT MORE ABOUT THE SELKIRK COLLEGE ORGANIZATION STRUCTURE AND JOIN US ON TWITTER.